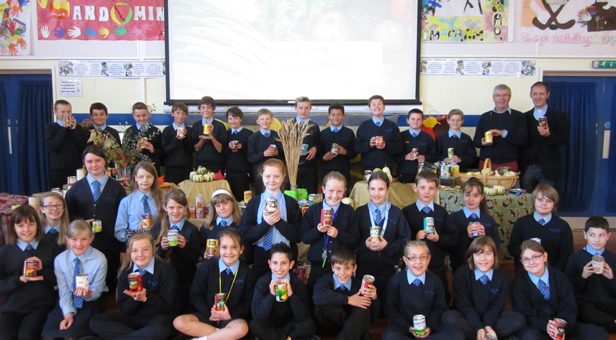 This week Ferndown Middle School celebrated harvest time. Pupils gathered a vast number of tins of food, which will be donated to the Ferndown food bank. During a harvest assembly led by Reverend Martin Howard and Mr Tony Thornton from St Mary’s Church, Ferndown, pupils learnt about how fortunate they are and how they can help others by making a difference in their community.